Earlier this month I was fortunate enough to be subsidized entry to the Celts exhibition at the National Museum of Scotland (Chambers Street) in order to prepare this blog post. The exhibition, which runs until September 25th, is a partnership between National Museums Scotland and the British Museum in London, and can be found on the third floor. ‘Celts’ has much to offer both locals and visitors alike, because the sense of what it means to be Celtic, while nebulous, is integral to national identities, including Scotland’s. Walk down any street along Edinburgh’s Royal Mile and you are likely to see Celtic designs on wares in shopfronts and stalls. As many of the exhibits are so aesthetically accomplished, even those who aren’t interested in our history and heritage will be impressed. Take for example the magnificent ‘Great torc’ (main picture), an identifiably Celtic masterpiece. 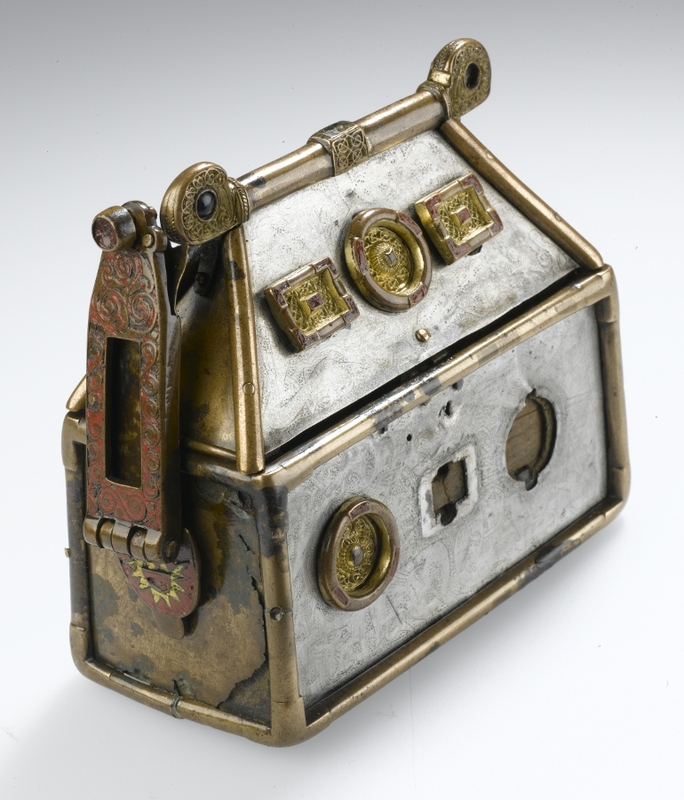 This blog post aims to give a brief overview of the Celts (based on the exhibition’s companion guide, Celts: Art and Identity), with a particular emphasis on Scotland, and showcases some of these foremost examples of Celtic art. Nonetheless, the selection included here is but a small sample of the hundreds of objects in the exhibition, each of which tells its own story explored in the museum plaques. 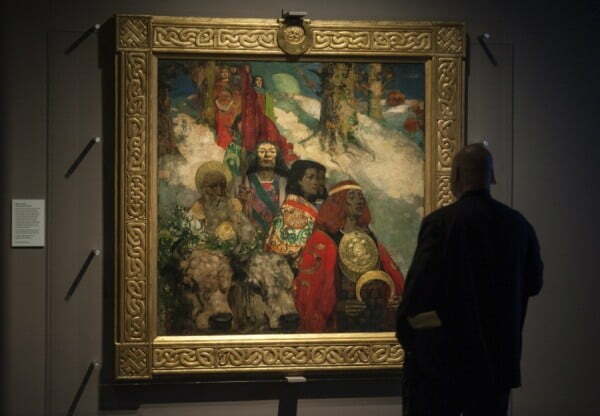 The Celts were a group of tribal cultures who lived across much of Iron Age Europe and early medieval Britain. Although they were branded barbarians by their Greek and Roman neighbours, Celtic identities have survived and evolved into modern times, and are still proclaimed by many of their former host countries, including Scotland. The variegated aspects of these identities is the subject of the exhibition, which traces the earliest record of the Celtic people back 2500 years through the objects they used and the art they produced. 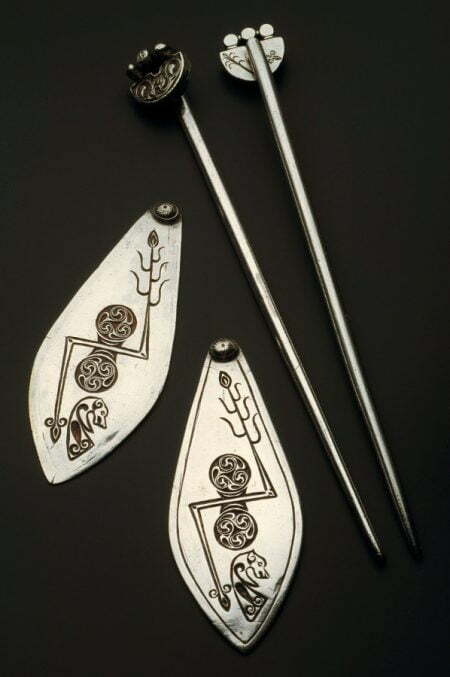 The Celtic people have for a long time been an enigma, and in fact the umbrella term ‘Celtic art’ was only first applied in the mid-nineteenth century as a way to categorize increasing discoveries of similar artefacts. Another contemporary phenomenon with its roots in the Victorian era is the proliferation of jewellery bearing Celtic designs, itself part of the broader Celtic Revival, a movement of renewed interest in Celtic heritage which spurred some romanticized interpretations by British and Irish artists. 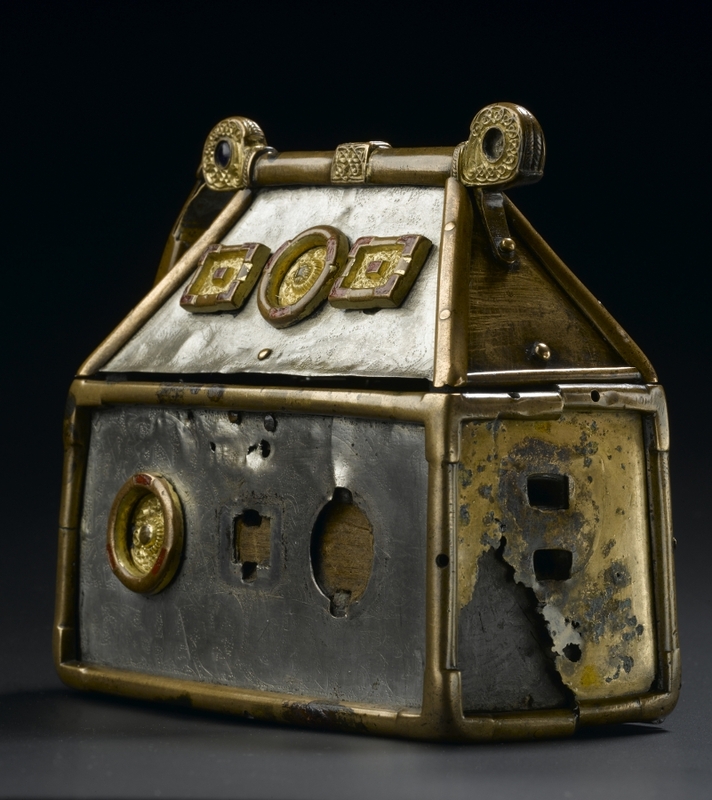 This tradition of using art to express an independent identity continued even after the Celts disappeared from Continental Europe and the Romans began their conquest of Britain (AD 43), with British Celts redesigning the images on Roman innovations such as coins. The evolution of the Celtic style continued with portraits and animal figures coming into sharper relief, and the emergence of a British Celtic art typified by contiguous curves and shapes. 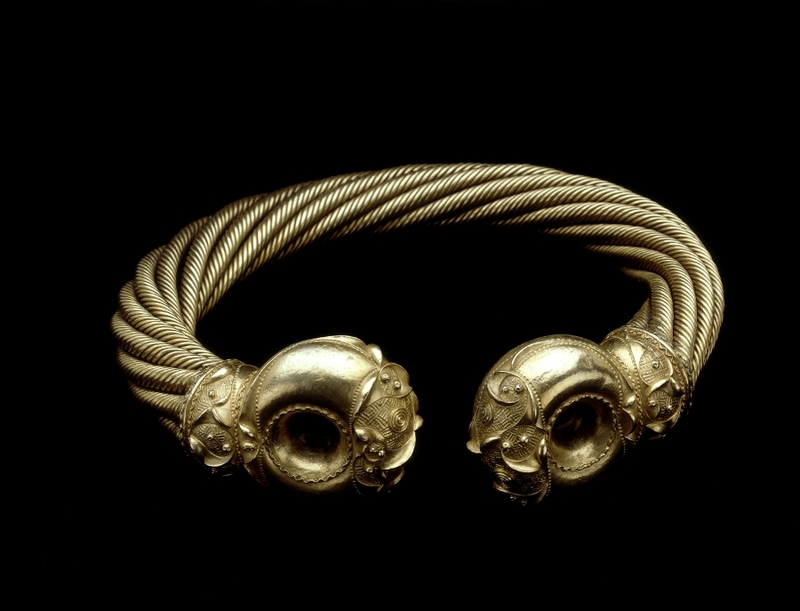 Weapons, equipment, jewellery and other artefacts fusing Celtic and Roman styles were borne by both the invading and native forces as the campaign for control of Britain unfurled. As the Roman empire fell, they were supplanted in southern Britain by the pagan Anglo-Saxons, thereby preserving the divide against the peoples of Scotland, Ireland, and western Britain who had resisted Roman rule, but retained Roman influence, most importantly in Christianity. Though they did not identify as Celtic, a further distinguishing feature of these peoples was their use of a language now given this namesake. 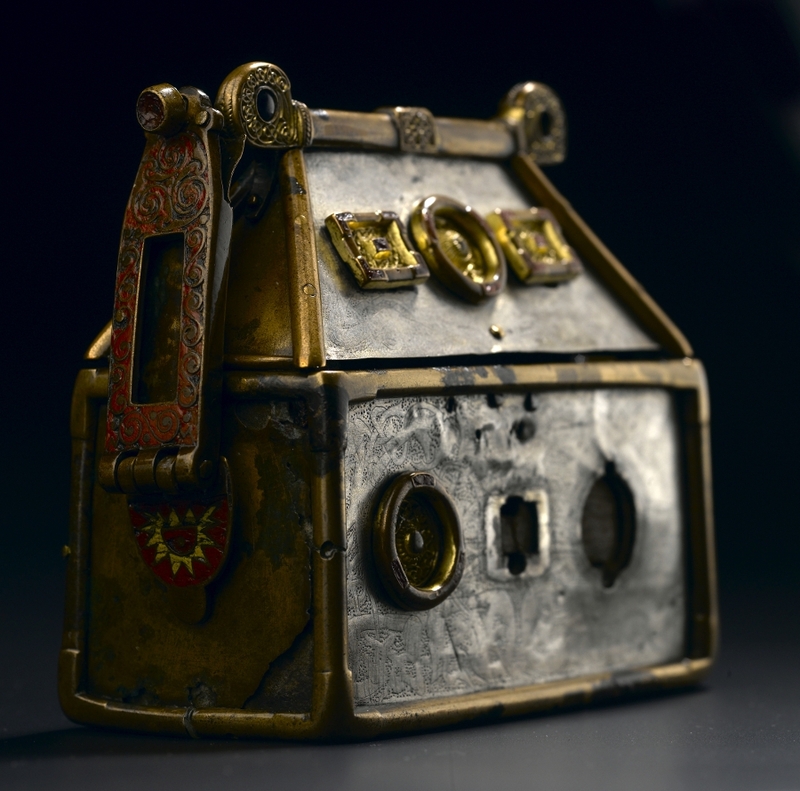 Celtic art objects emblematic of early medieval Christianity include illuminated gospels, bells, crosiers, engraved stone crosses and protective caskets for holy relics, which influential families were charged with safekeeping. 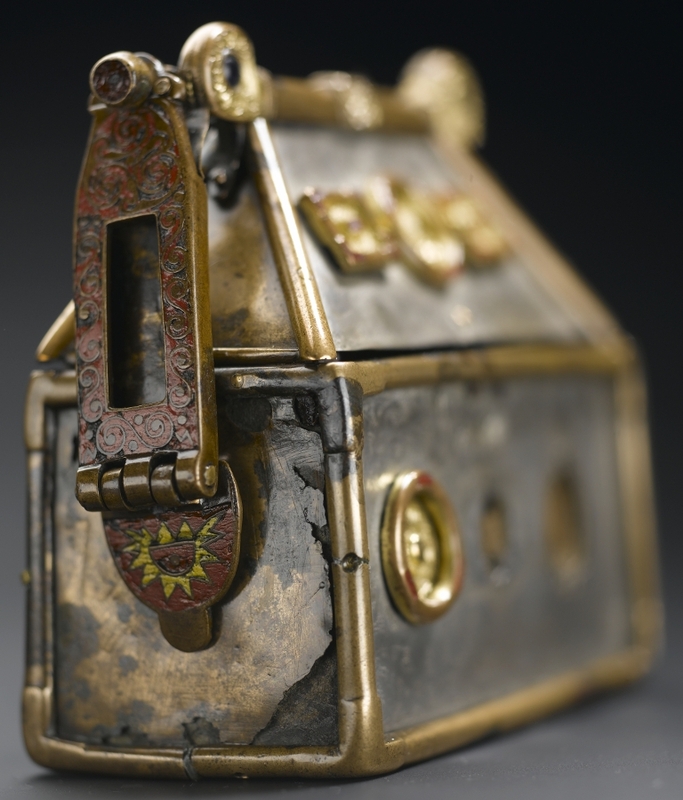 Sometimes these objects were even brought into battle through conviction in their healing and harming powers. 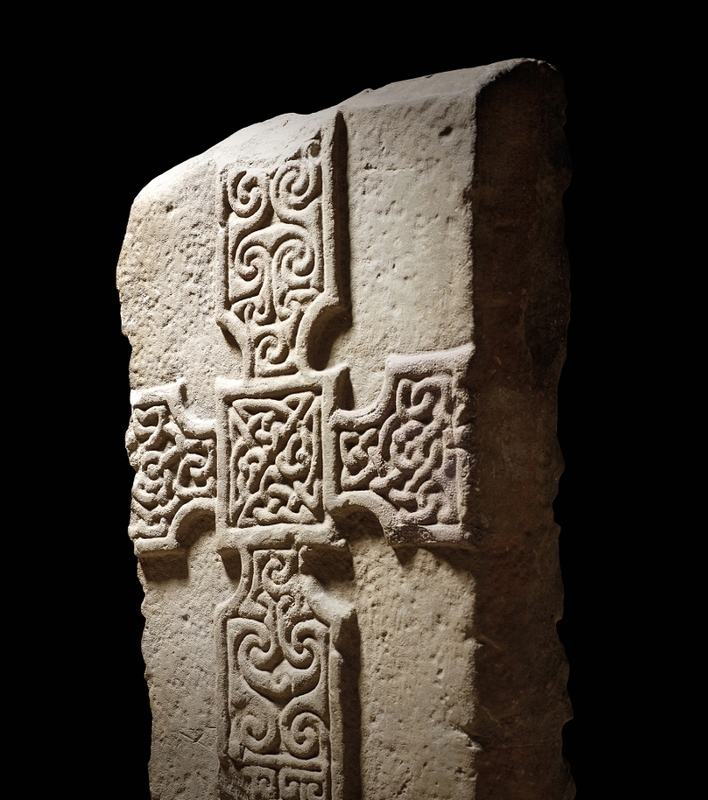 A second major stylistic fusion developed from around 650 AD, with Celtic art now incorporating interlace designs, part of the European heritage brought to Britain by the Anglo-Saxons. The term ‘Celts’ fell into disuse after the Roman period, but in the past few centuries it has been adopted as a way to describe western Europe, particularly Britain and Ireland. 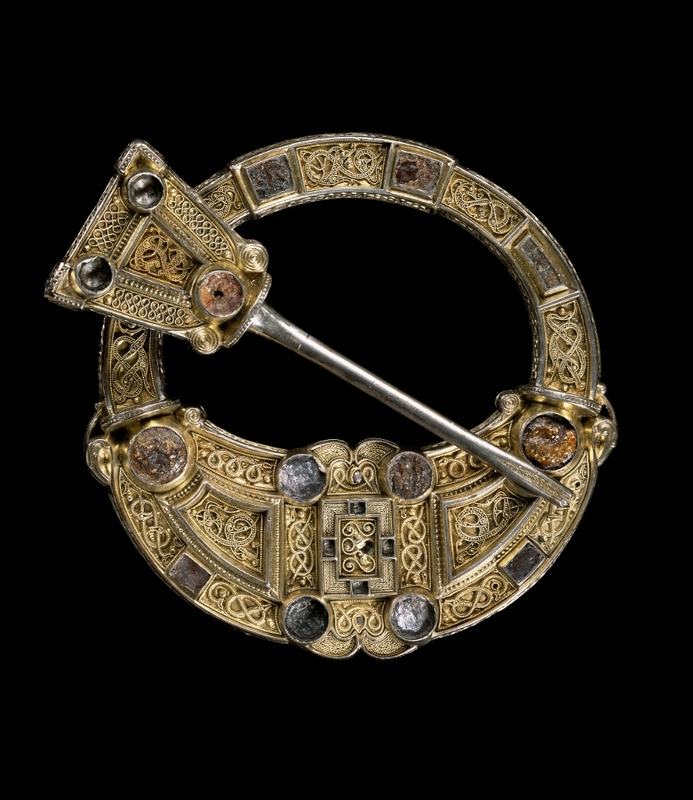 I hope this blog post has given you some sense of how Celtic art encompasses a range of styles and influences over the course of history, reflected in the breadth and diversity of objects and eras displayed in the exhibition. This post was produced using the Celts: Art and Identity companion guide, by Ian Leins, published in collaboration with the British Museum. The guide can be purchased from the shop beside the exhibition, while a larger companion is also available online here.